This review is for everyone in search of the perfect dashcam for their vehicle. We all know how important it is to have a dashcam in their car and if you did not know, well here's why you gotta have one asap. 1. You get just the perfect evidence in case of an accident or better in a hit and run case. A dashcam will capture everything at the moment of the crash and you can easily find the culprit. Nobody can mess with you about whose fault is this as you got everything captured and you can simply show the footage to the police or to your insurance company. 2. You will get to know everything that is happening inside or outside your car even when you are not near the car. Thanks to the latest technology, you can get an insight into what is happening on your phone. Even when someone else is driving your car, you will get to see how they drove it and in case of an accident, you are fully aware. 3. For those vloggers out there or simply those who love to capture their beautiful trips, well a dashcam got your back. You can use the clips in your videos or simply keep them for memories. 4. Again thanks to technology, dashcams are not simply a camera that records the road but they come equipped with a lot of features. WiFi, GPS, G-Sensor to name just a few. Ok, I'll stop here or else this article will turn into benefits of dashcam instead of a review. The bottom line is that it is not mandatory to have a dashcam but it is highly recommended if you want to have peace of mind. SuperCar Guru is reviewing a dashcam out of the ordinary this time. Believe me, when I say, you'll want one right after reading. This dashcam is the most advanced and most sophisticated one currently available on the market. It is actually better than some of the cameras also. A dashcam this good? Are you serious? Yes, I am serious and I am talking about the BlackVue DR900S-2CH 4K UHD Dashcam. 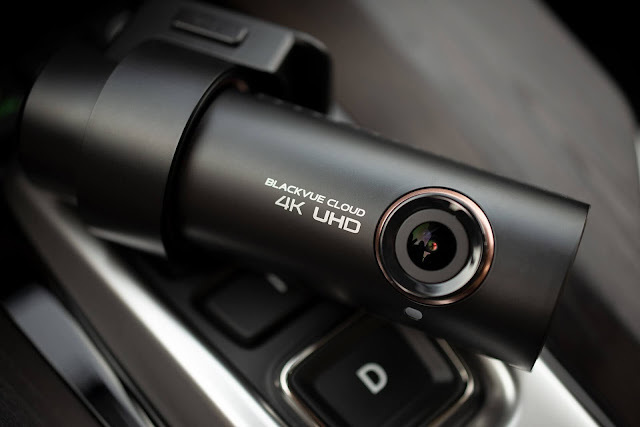 BlackVue recently released their best dashcam and we knew at first sight that we need to experience this. So here we are today, after one week of living and testing the dashcam. Here is an honest overview. Live View - It is basically a CCTV camera for your car. You get a live view of your car's surrounding wherever you are, thanks to the BlackVue app. Provided one has a hotspot in their car, or the dashcam has an access to a close-by Wi-Fi. 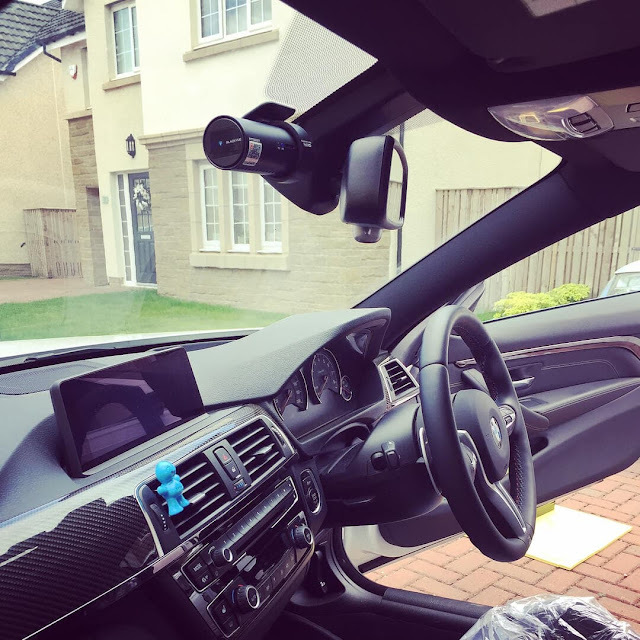 You can of course watch Live View when you are in the range of your dashcam, but if you are, let's say, a few miles from your car, you will need a hotspot to connect. Remote Video Playback - You can play recorded video that has been stored in the dashcam or cloud right from your mobile phone. Emergency Alarm - You get notifications on your phone whenever something unusual is happening around your car. GPS Tracking - This is useful for both individuals and businesses. You can easily track your vehicle's route, speed and parking location. Video Backup - We all have priorities in life and there may be important videos that you would want to keep safe with you. BlackVue lets you move your important footage to a free cloud storage or to your smartphone's memory. Two-Way Voice Communication - This feature is more useful for those in minivans etc. The passengers and driver can communicate with each other by using their smartphones. Supports up to 128 GB MicroSD Card - When you are buying your BlackVue dashcam, you get to choose what memory capacity you want. You have the choice between 16GB, 32GB, 64GB and 128GB. You will get around 1 hour of footage storage in 4K and HD both in the front and at the rear on a 16GB memory card. The resolution can be decreased (in case you are wondering). And you get approximately 8 hours of footage storage in a 128GB memory card which is more than enough. When you buy any BlackVue product, you get a free account that can be upgraded for more possibilities. The free account has a bunch of features which we are going to take a look at very fast. The first thing that you notice once you get the dashcam out of the box is that it is of high quality. It looks pretty durable and there seems to be no cheap parts in that. After all, you are paying some bucks for it and it gotta be worth it, right! Here's a list of everything that resides inside the box. After using the dashcam for 1 week, we can notice the huge difference between the BlackVue 4K UHD and other dashcams. Now we understand why there has been a huge hype when the company has announced this one. The installation has been quite straightforward and easy. It is installed the same way as other dashcams. The most challenging part for me was to hide the wire inside the A-pillar and C-pillar. Instantly, you see the image difference, the image is clearer and you can easily track down car's number plates even from a distance. The wide frame view is also amazing, you get to see on both side of your car. Another impressive thing about the dashcam is it enhanced night vision, even at night, the video quality is mind-blowing. The dual channel cameras are amazing, a lot of dashcams on the market has only the front one and not the rear one. But believe me, the duo is better as a lot of things can happen at the back too and you do not want to miss that. When you download the BlackVue app and connect to it, you feel a lot safer as wherever you are, you know what is happening around your car and it is an awesome feeling. The loop recording and intelligent parking mode are to die for. The built-in WiFi, G-Sensor and GPS really become handy and once you get used to it, you will want it the whole time. This has been well-engineered and it has to be one of the best dashcams ever produced (if not the best). A little word about the BlackVue app, it is awesome, there is no lagging and there is everything you would expect in the right place. The download speed however, is a bit slow, again not that much but I think it was because of my WiFi connection. A high-speed connection will eliminate this problem. A little thing that I really appreciate is the sleek and beautiful design of the dashcam. It fits your car perfectly and it does not look like an aftermarket cheap part that you installed in your car. Each dashcam comes with a one-year limited warranty, again giving you peace of mind but I do not think you will ever need the warranty. Yes, it is that good! Maybe the only drawback is the amount that it costs. Yes, it is pretty expensive over normal dashcams but if you want the best of the best, then the BlackVue 4K UHD dashcam is for you. In terms of investment for your car, it is a pretty good one and you will not regret your purchase. The camera is excellent. Quality and resolution is supreme. Night driving function is excellent and the utility of the cloud service is unmatched. I was hesitant to spend the money as it’s an expensive system. Now that I have it I don’t regret it a bit. It is worth every cent spent. It is an investment that once purchased you will feel at ease with as you see its purpose unfold and experience its superb function. Great choice and I’m happy! I've enjoyed the dash cam so far. Setup was easy and the cables were lengthy enough. Video quality is great ... although the FPS could be better. Some stuttering is noticeable at high speeds. This dashcam is simply amazing. It is sleek and easily hidden from view. The install went perfectly (using the pre-order hardwire kit). The BlackVue app is excellent as well. Very easy to use and lots of great features. It's a pricey investment, but well worth the peace of mind. If you get this, do not get the CPL filter. It covers a lot of the recording area, which is a huge benefit for this camera over others. 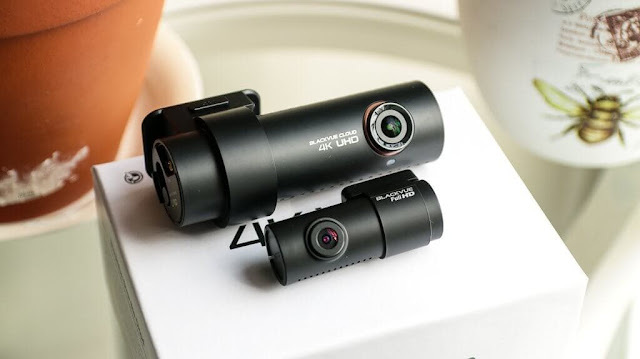 If you want to get impressed by this amazing dashcam, you can order yours by clicking here. NOTE: We don't believe in bias reviews so we have written this review after testing the product ourselves for several days. If you like this article, please share it with your friends and family. It really helps us to keep creating awesome contents for you. Also, if you have questions, tips, recommendation or anything else, feel free to write it down in the comments section and we will try our best to reply to all of them. Don't forget to subscribe to our newsletter for hot supercar related news and also to be the first one to know when we upload a new blog. Great article once again man! Really enjoy reading your blog!!! Your articles are always on point! Yes, their service is impeccable! I'm the last commenter (delivery in 3 days in case you're wondering) and after using the dashcam, it is HECK THE BEST! I am completely in love with it and i recommend everyone to buy it. I truly meant it is the BEST! Exceptionally work alot helpful.Android 9.0 Pie update is available for Samsung galaxy series including S9 amazing features has been added.